Dogecoin (DOGE) Price Analysis: Can Dogecoin Breach 0.0045 USD Target? 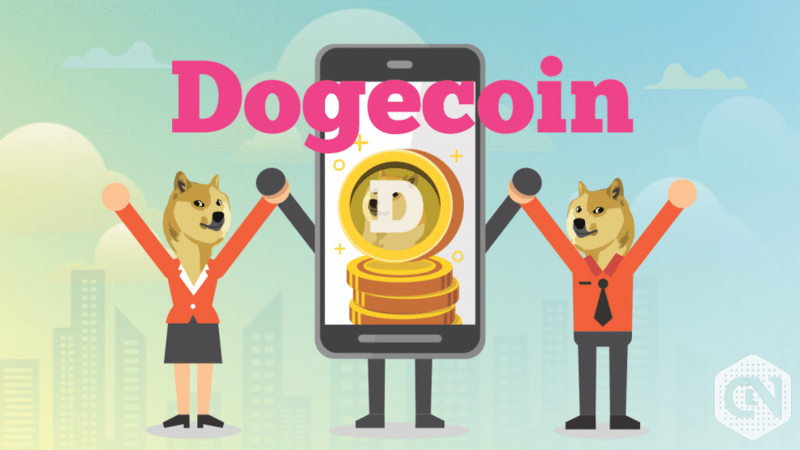 Dogecoin (DOGE) was established in 2013 after splitting from Litecoin. The aim of the coin was paying rewarding the online content creators on platforms like Twitter and Reddit. The coin has the logo of a popular “Doge,” an internet meme. The internet meme was of a Shiba Inu dog. The coin set up by Billy Markus from Portland, Oregon and Jackson Palmer from Sydney, Australia, provides the facility to make the payment to the online content creator with complete anonymity. The payment routed through this system does not have to go through any central authority. Dogecoin (DOGE) has around 526.21 % of return on Investment (ROI), and it is ranked at 23rd with respect to the size of the crypto in the market. The maximum possible supply has not been prescribed by the coin and the total supply as well as the current coin in circulation stands at 118,947,107,277 DOGE. The market cap on 5th April at 05:04 UTC is 418,931,194 USD. And the value of each coin in USD stands at 0.003522, and in BTC it is at 0.00000072. The 24 h volume stands at 167,366,349 USD. Apart from the current week, the growth trend of this crypto has been showing a stable line. The fine line was maintained since the start of this year with some minor uptrend after February. The market cap of Dogecoin (DOGE) on 05th March was 234,154,213 USD, and the value of each coin in terms of USD and BTC stood at 0.001976 USD and 0.00000053 BTC respectively. The current market cap has shown 78.91 % growth over the figure of one month back. 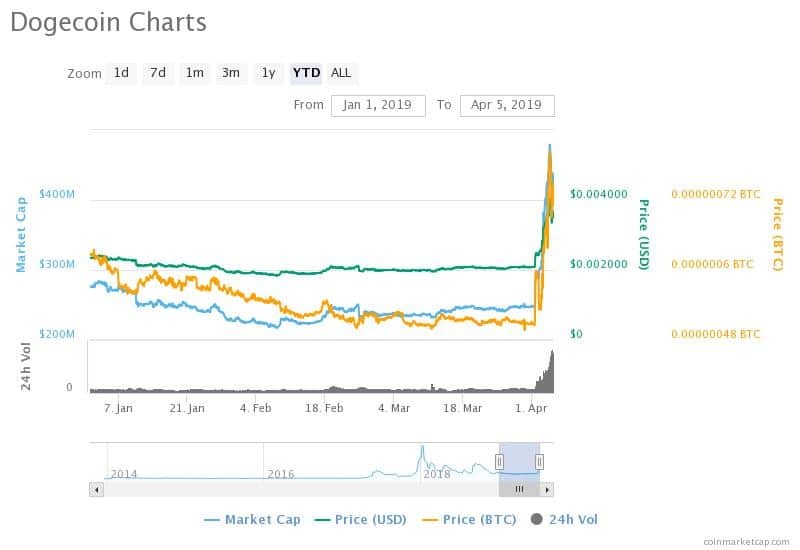 And the value of each coin in USD has grown 78.23 % on the value of 05th March. After months of stable growth, Dogecoin (DOGE) has shown some uptrend in the last three days. It has grown by 50 % on these three days. Experts predict that the growth is sustainable. And the next target the investors should aim at is 0.0045 USD. Though there is a slight downward growth today, it is surely going to get the momentum. It is the best time when investors should reserve a position in buy-in. It is going to give almost 50 % to 70 % growth at the end of this week. We predict the price to rally with a stable percentage after that. So long term investors are advised to have more patience, and short term investors may get out of their position once they get their desired results. The short term price prediction can be termed as bullish, and the long term to medium term is definitely bearish. Cardano (ADA) Price Analysis: Is Cardano Capable Enough to Rank Amongst the Top 5?